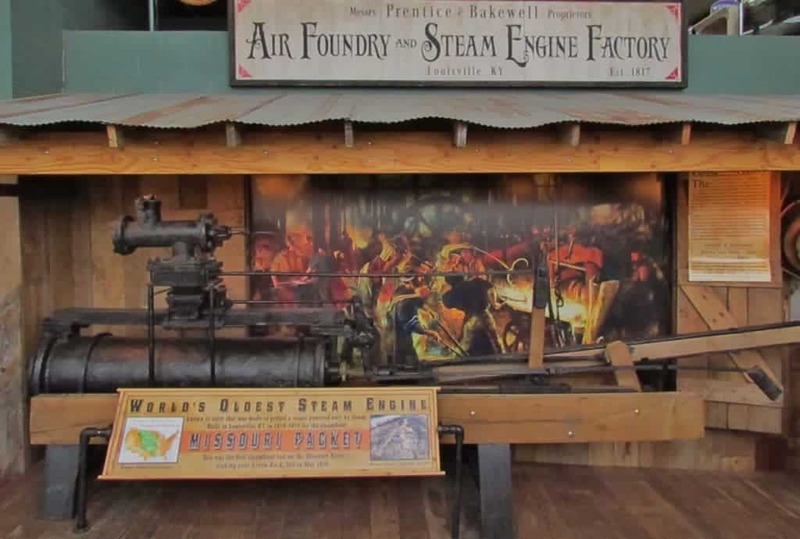 Our visit to the Arabia Steamboat Museum reminded us why we like the City Market, in downtown Kansas City, Missouri. This place bustles with vendors, hawkers, musicians, shoppers, and history seekers. The last category is often on their way to the museum, which is located in one of the permanent buildings that surround the market. The Arabia was a side wheeled steamer built in 1853. It plied the Ohio and Mississippi Rivers, before being purchased and relocated to the Missouri River. We want to thank the Arabia Steamboat Museum for their hospitality. Rest assured that all opinions are our own. During the spring and summer of 1856, the Arabia made fourteen trips up and down the Missouri River. In March of that year it had a collision with an obstacle, and required repairs to the rudder. That same month the ship was searched by pro-slavery members near Lexington, Missouri. Weapons destined for Free-staters in Kansas territory were discovered in crates labeled “Carpenters Tools”. They were confiscated and the ship continued it’s journey. In September 1856, the Arabia struck a submerged snag at the Quindaro Bend, which is near Parkville, Missouri. Water rushed in through the hull, and the ship sank quickly, Passengers and crew scrambled to the upper decks to avoid drowning. In the end, all 130 people onboard made it safely to shore. The only casualty from the sinking was a mule that had been tethered to a lower floor, and forgotten in all of the confusion. All of the cargo sank with the ship.There were rumors of barrels of Kentucky Bourbon being onboard, but none was recovered. The common belief is that if it had been part of the shipment, it was probably being stored up on the main deck. In that case it would have floated away during the sinking of the ship. 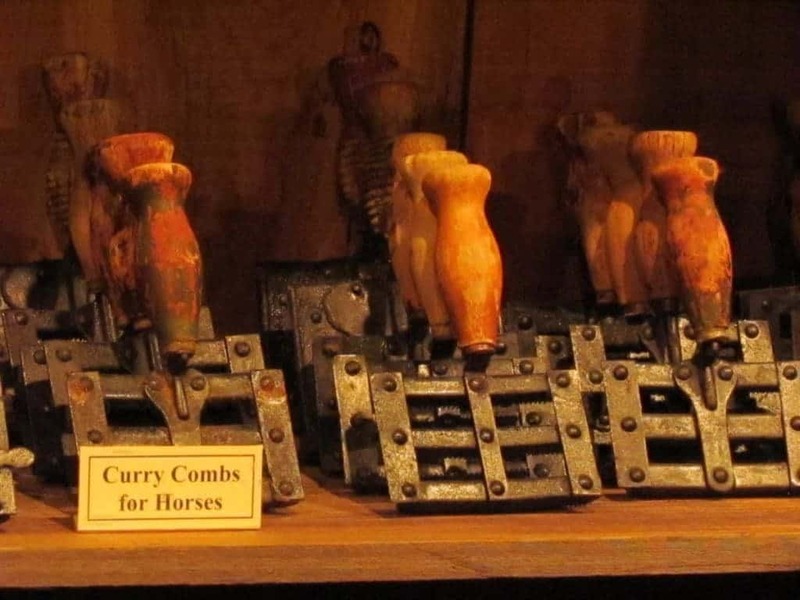 Our visit to the Arabia Steamboat Museum began in the gift shop, where guests purchase their tickets. After descending a ramp to the gallery level, guests will see the steam engine from the Missouri Packet. This is the first recorded steamboat to sink on the Missouri River in 1820. 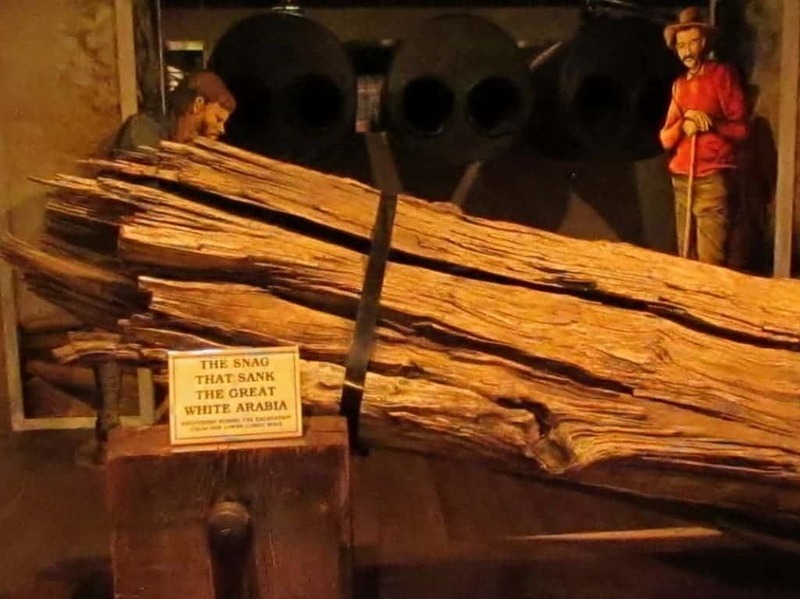 It was excavated near Arrow rock, Missouri in 1987, and is displayed as the oldest salvaged steam engine in the United States. This area is where the 20 minute overview of the project begins. Visitors continue into the main gallery area, where a description of the dig site is given, as well as seeing part of the stern on display. It was interesting hearing about the restoration, which required items to be soaked in a preservative. To stabilize a piece as large as the stern required setting up a shower system to soak the piece for 16 hours a day. After this overview, we moved into a small auditorium for a fourteen minute film. 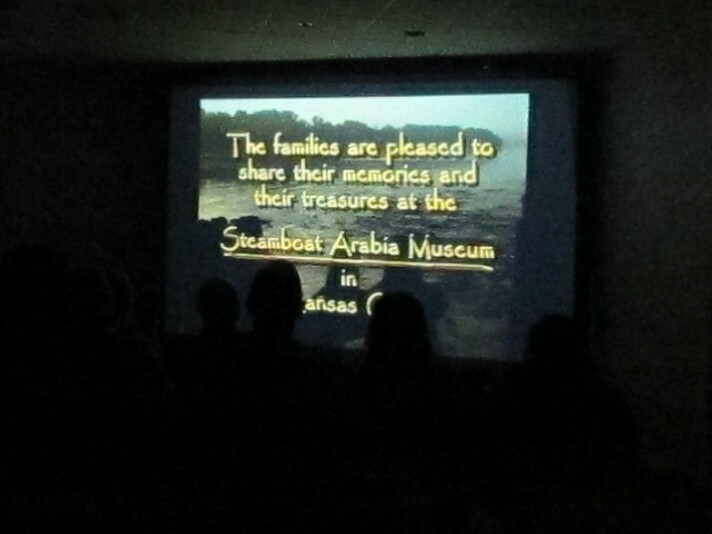 The movie tells the history of the ship, and of travel on the waterways during the mid-1800’s. The cinematography is very good, and the story is quite engrossing. It continues with the story of the people involved in the salvage, and includes the back story to the discovery of the ships location. At the end, visitors have a solid understanding of the events that led up to the sinking, as well as a good understanding of the scope of the recovery project. The story of this group is just as interesting as the actual history of the ship, and at the end of the film one of the family members came in to discuss the project. He also gave an update on the restoration progress. He informed us that even though the salvage was completed in just a few months, the restoration work continues to this day, and will for many more years. Upon exiting the theater area, you are deposited at the entrance of the main display area. The Arabia Steamboat Museum is set up in an oval shape, and guests work their way through at their own pace. This works well for those wishing to return to an area they previously visited. With so much to see, it is easy to overlook things. The Arabia was carrying about 220 tons of goods at the time it sank. Most of this was destined for sixteen towns along the river. Less than two-thirds of the merchandise recovered is on display, but what is visible boggles the mind. As we walked through the gallery, we saw massive displays of goods that looked almost new. 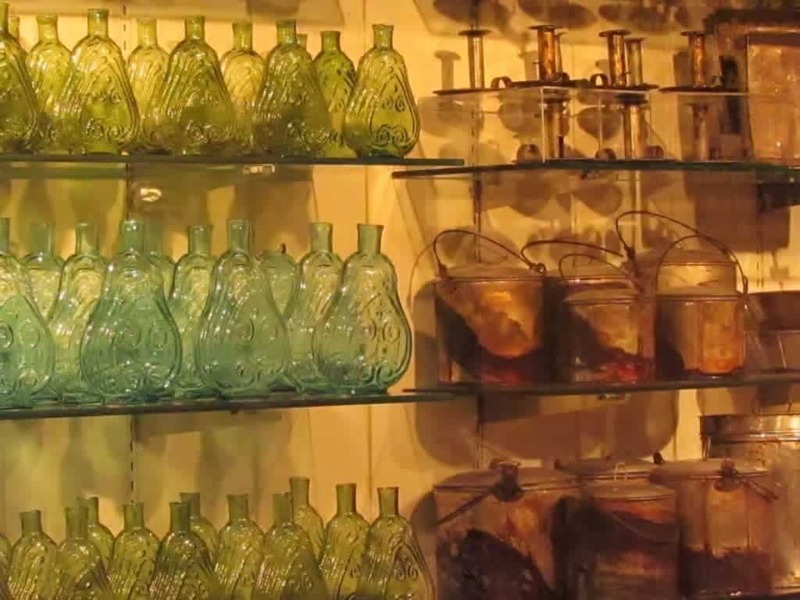 Rows upon rows of glassware, dishes, farming implements, clothing, and other items that would be used in the daily life of those residing on the prairie lands. 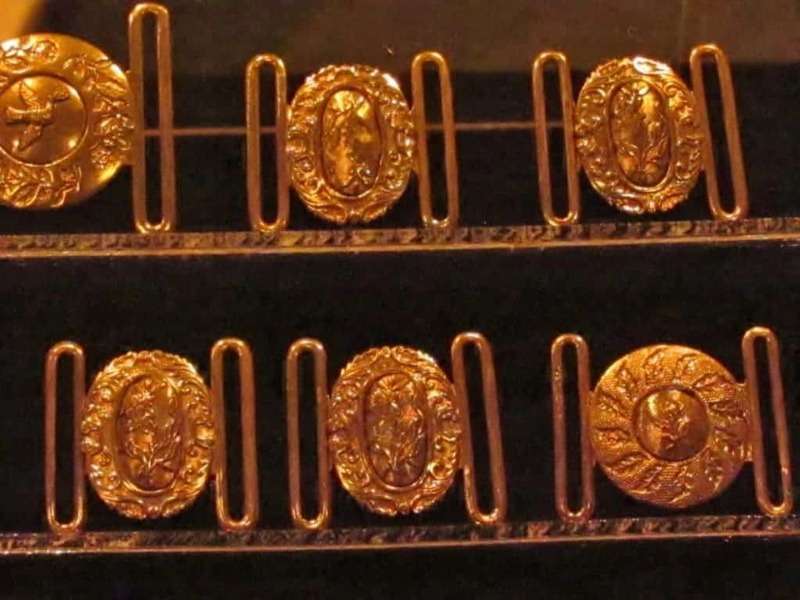 Gold buckles shine like the day they were made, yet they spent 152 years buried in the mud of a Wyandotte County cornfield. It seems that not many years after the Arabia sank, the Missouri River changed its course leaving the wreckage underground. While many searched for the ship, it was not until 1988 that a group of treasure seekers actually located it. After recovering all of the cargo, there was still the overwhelming task of preservation. During excavation, most of the pieces were frozen in blocks of ice. These were moved to freezers to maintain their condition. 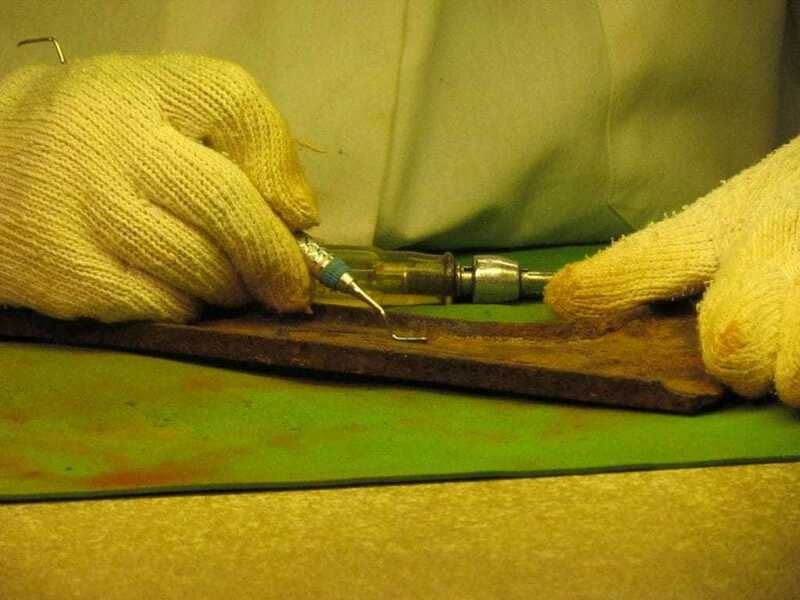 Each piece has to be meticulously cleaned, repaired, and stabilized. 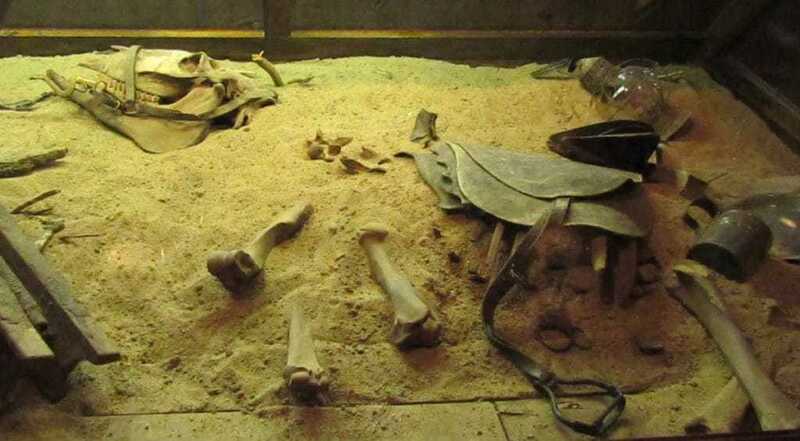 To stabilize the leather and garment pieces, they were first soaked in preservative, and then freeze dried on site in the museum. While we were touring, one of the preservationists was at work cleaning a farm implement. She explained the details of the process, answered some questions, and then returned to her tedious task. As we progressed around the museum, we came to a gangplank which represents passage onto the ship. Once across, we walked the 171 foot long reproduction of the Arabia’s main deck. Here we found more information on the excavation process. 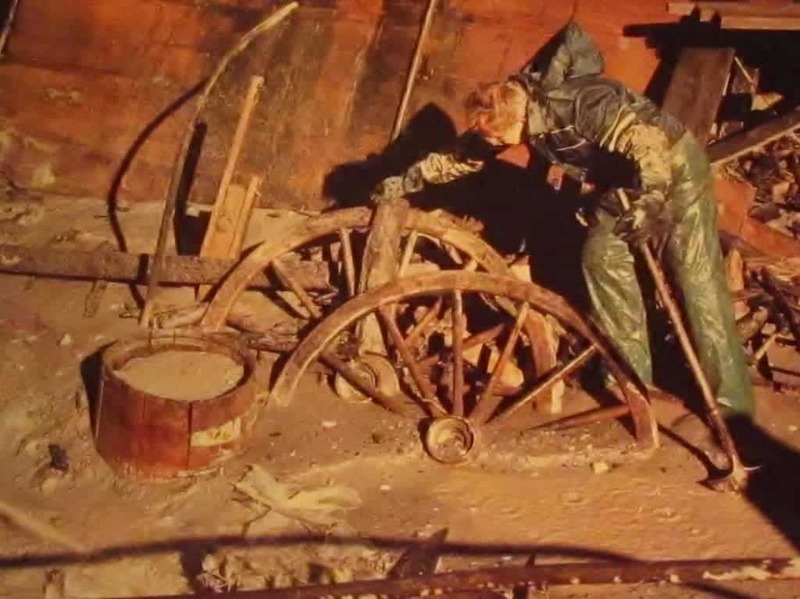 Pictures showed the treasure hunters fighting back the waters of the river, while dealing with the vast amounts of mud. To say the task was impressive is understating the workload. In the center of this area can be found the original boilers and engine. Near the end of the oval you come to the reconstructed paddle wheel. At 26 feet wide it makes an impressive display, and it is set in motion in a recreation of a riverbank area. Before heading back toward the area where the tour began, you come to one of the final displays. 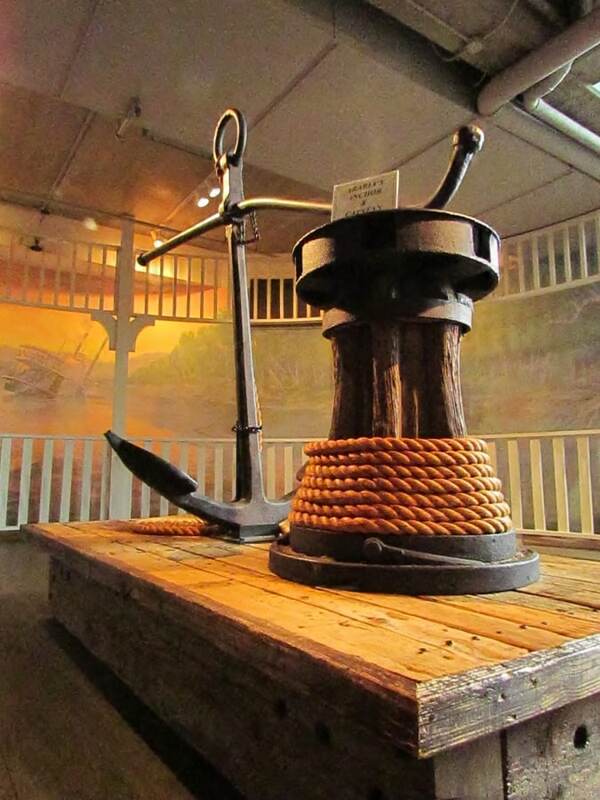 Here you can see the anchor and capstan that were used to hold the Arabia in place when it was at rest. 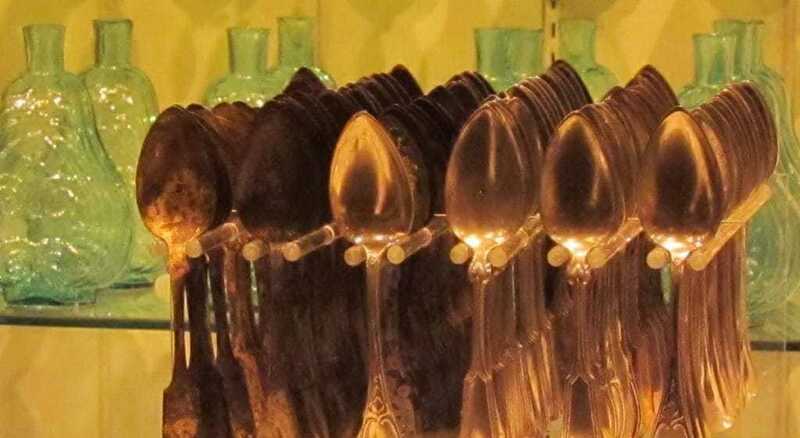 It is a fitting end to the displays found in this one-of-a-kind museum. 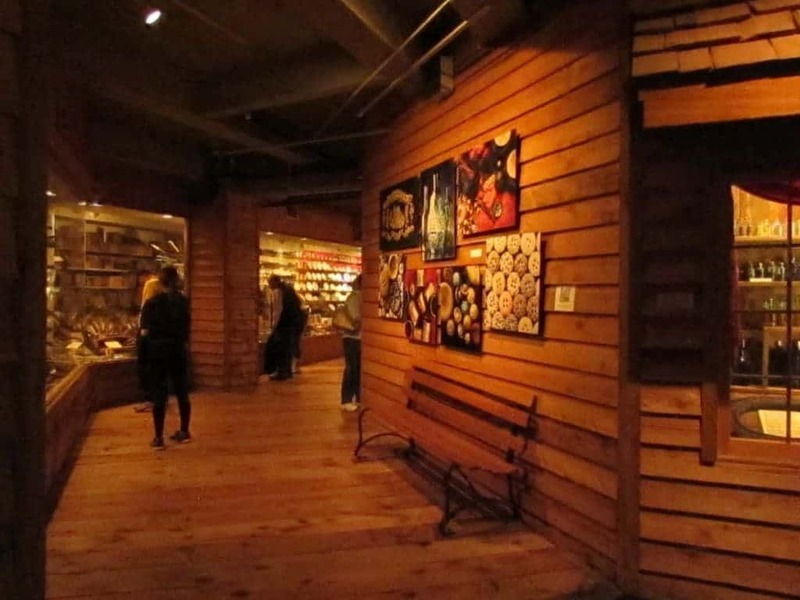 After touring the museum, guests can leave up a staircase or elevator, which deposit them in the same gift shop where they purchased admission. Here you can shop for that special memento to remember this unique experience. Nearby they have a snack bar area, which overlooks the paddle wheel display. This offers visitors a different perspective, which would be more like standing on an upper deck of the ship. The Arabia Steamboat Museum is open 7 days a week, except for major holidays. Tours run every half hour, with the last one starting at 3:30. Admission is $14.50 for adults, and $13.50 for seniors 60 and older. Children 4 to 14 get in for $5.50, and younger than that are free. They also offer discounted admission for school groups. If we are representative of the average visitors, you can expect to spend 1 or 2 hours at least in the museum. So does this seem like a place you would like to visit? Be sure to tell us your thoughts in the comments section below. If you have already visited, tell us about your favorite part of the museum. We have been away from the States for 3 years so far while traveling and visiting other countries. We are both history buffs and try to learn what we can about the places we visit. Once we return to the states, we are thinking of getting a ‘class A’ motorhome to travel the U.S. and we have just added the Arabia Steamboat Museum to our list. We don’t think you will be disappointed. Travel safely. Thank you for sharing your experience – I would love to see it – it seems authentic and very educational. It was a great experience. Perhaps we will see the Titanic exhibit someday. This is the kind of place you go and get out of there with a big head! So many things to learn, great history class! Would love to check it out when around! I believe my wife was the same way. Now she enjoys the stories about the people in history. Of course, she still dislikes war museums. What an interesting and different place the Arabia Steamboat Museum is, and I truly feel like I’ve had a history lesson, especially not knowing much about that era in that part of the world – I’m super interesting to know if the bourbon floated away and who enjoyed it! The price doesn’t seem too bad either. If the bourbon existed, I’m sure it was found by someone. We like most museums. It’s great to learn the past. Museums are a great place to learn history! 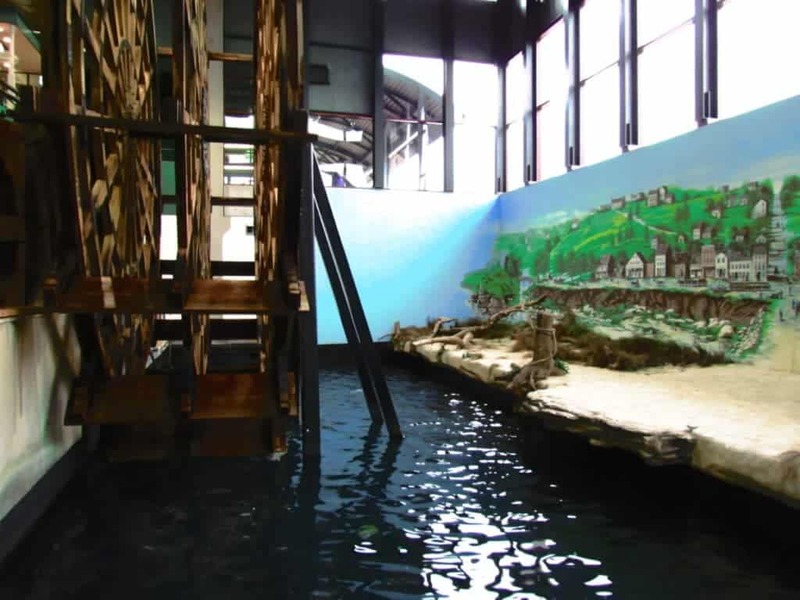 It looks like a great place to learn about the Missouri River and the old river boats. Interesting experience, quite different from the usual travel ones. Always nice to read about such relatively unheard stories from the past. nicely written article with all the details. Very unusual. Thanks for visiting our site. Steamboat museums are really new to me. I feel they will be a great visit to the historical times and simultaneously will open our minds to the past tragedies. After going through your post, I am more keen to know where is Bourbon know. Thanks for visiting our site. We hope you bookmark it for future visits. Adventure trips can be fun, as well.